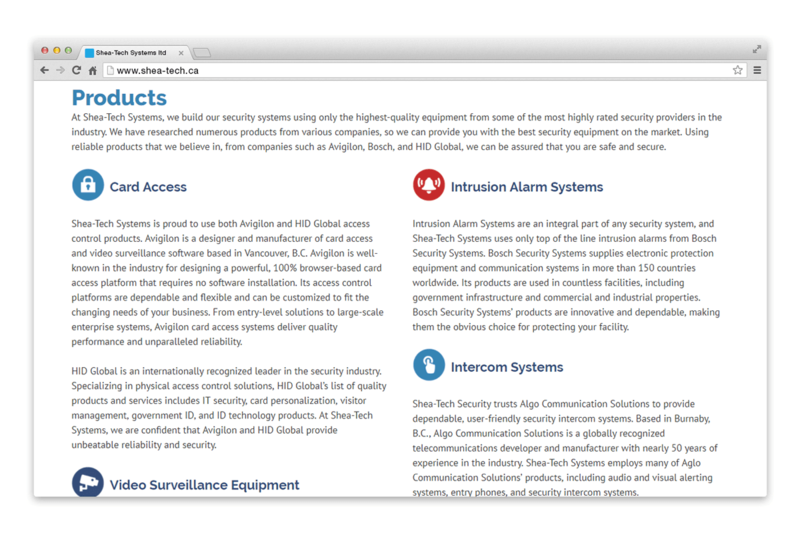 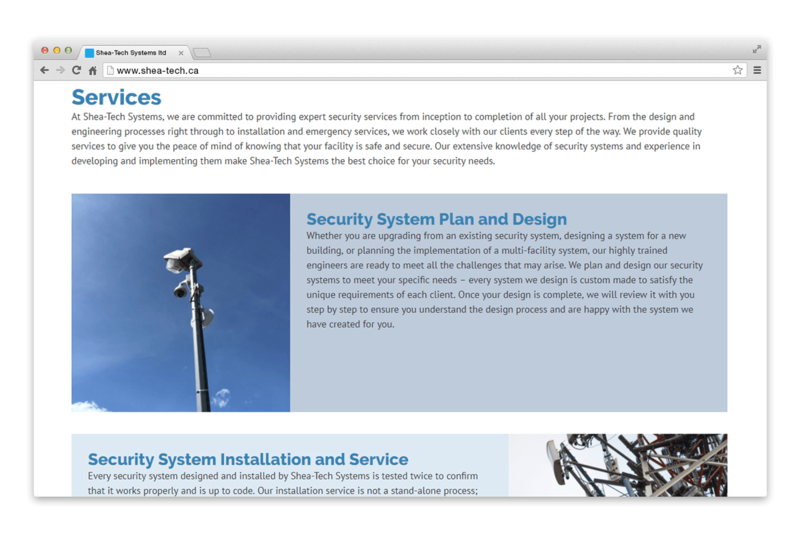 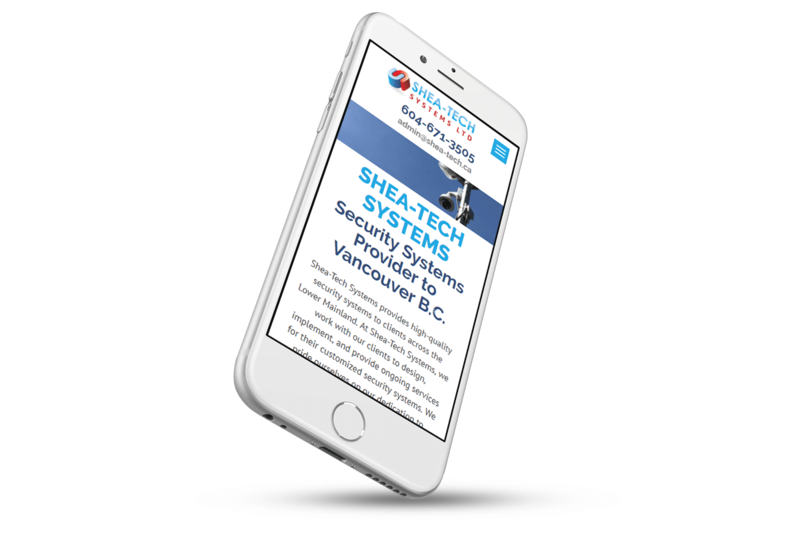 Shea-Tech Systems Ltd. | NetClimber Web Design Inc.
As a provider of Security Systems to clients in the Lower Mainland, Shea-Tech Systems Ltd needed to consolidate their two existing websites into one professional design that showcases their experience and skill within their industry. 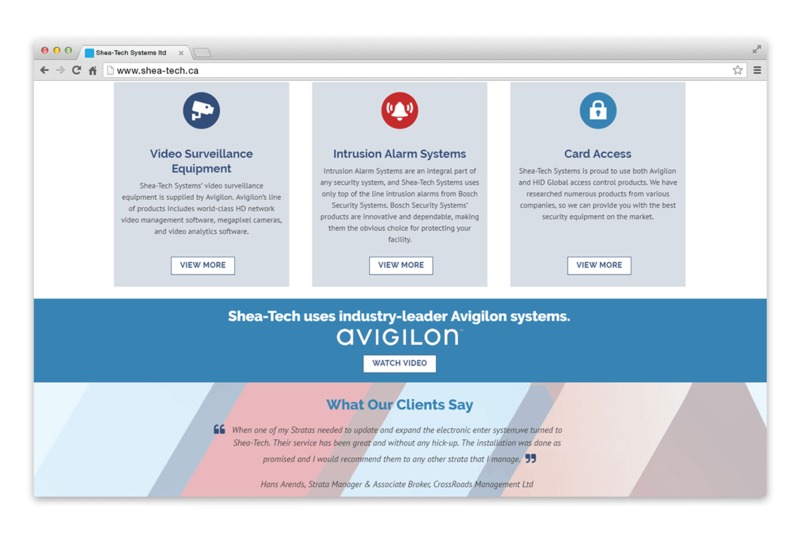 NetClimber used our custom theme and expanded it to have greater functionality and UX to create a nicely branded site that focuses on Shea-Tech’s client services and products. 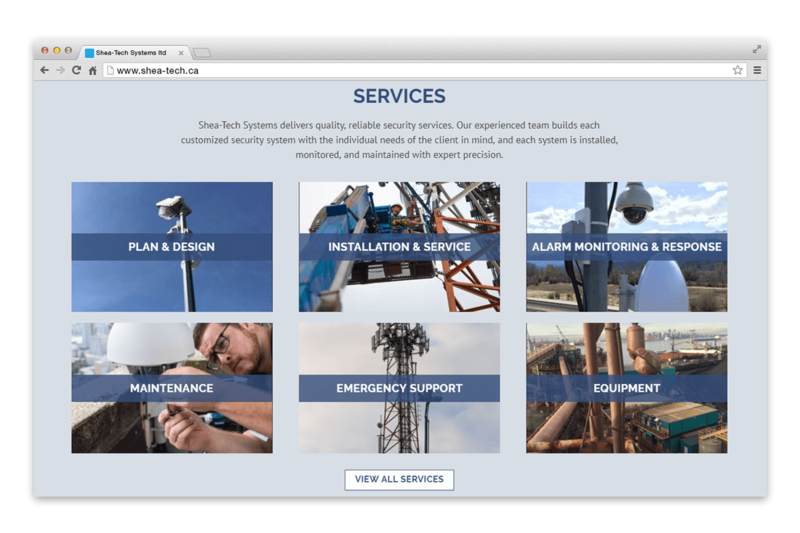 Shea-Tech utilized a professional copywriter to update the website content and then had the NetClimber team assist with content entry.